Despite ample evidence of the negative effects of racial discrimination on African American adolescents’ psychological well-being, less is known about the role of social support as a mechanistic pathway. The purpose of this study was to understand whether lower levels of family social support explained the link between racial discrimination and psychological distress by testing the social support deterioration model. A sample of 401 African American adolescents from the Project on Human Development in Chicago Neighborhoods was used for this study. Adolescents self-reported on whether they experienced racial discrimination or worried about racial discrimination across several contexts; their receipt of social support from their family; and measures of psychological distress. 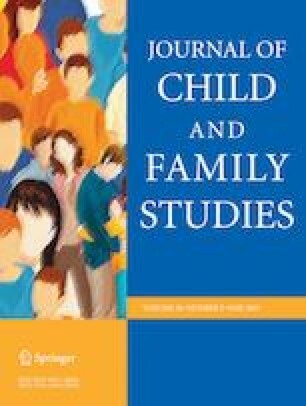 Adolescents experiencing or worrying about racial discrimination in one to three contexts reported lower levels of family social support relative to adolescents not experiencing or worrying about racial discrimination experiences in any context, and in turn associated with higher levels of psychological distress. In contrast, relative to adolescents reporting no racial discrimination experiences or worries, family social support was not a significant mediator for adolescents experiencing or worrying about racial discrimination in more than four contexts. These findings suggest that the path by which racial discrimination is linked to psychological distress varies by the number of contexts by which adolescents experience or worry about racial discrimination. Adolescents experiencing fewer instances of racial discrimination may not receive or perceive the familial support they need to combat the negative mental health effects of racial discrimination. S.M.S. : conceptualized and designed the study, conducted the data analyses, and wrote the paper. R.S. : collaborated in the writing and editing of the manuscript. M.S.G. : collaborated in the writing and editing of the manuscript. All procedures performed in studies involving human participants were in accordance with the ethical standards of University of Illinois at Urbana-Champaign and/or national research committee and with the 1964 Helsinki declaration and its later amendments or comparable ethical standards. Participants were not recruited for the current study and, therefore, obtaining informed consent was not required. Earls, F. J., Brooks-Gunn, J., Raudenbush, S. W., & Sampson, R. J. (2007). Project on Human Development in Chicago Neighborhoods (PHDCN): Discrimination, wave 3, 2000-2002. https://doi.org/10.3886/ICPSR13692.v1. Accessed on 12 Feb 2017. Robert Wood Johnson Foundation (2017). Discrimination in America: experiences and views of African Americans. https://www.rwjf.org/en/library/research/2017/10/discrimination-in-america--experiences-and-views.html. Accessed on 18 Mar 2019.